Next steps for the restoration of the G2 Parcel include site remediation as well as planning efforts aimed at making the site more accessible to the public. 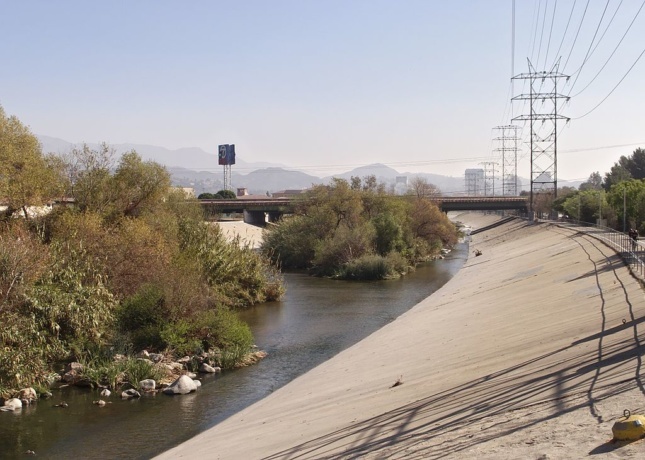 The City of Los Angeles recently closed escrow the G2 parcel, a 42-acre strip of land adjacent to the Los Angeles River that will be revitalized as a publicly accessible nature preserve and flood control area as part of the L.A. River’s long-term restoration. The parcel represents the last sizable holding leftover from the 250-acre Taylor Yard site along the river’s eastern banks adjacent to the Cypress Park neighborhood and across from the bustling Frogtown neighborhood. Taylor Yard, a large, river-adjacent industrial lot formerly owned by the Union Pacific Railroad, has been systematically disassembled over the years. Those other portions of Taylor Yard have been turned into the Rio de Los Angeles State Park, the Sonia Sotomayor Learning Academies, and the Taylor Yard Transit Village. Acquisition of the G2 parcel allows the city to connect two adjacent, State-owned parks: the Rio de Los Angeles State Park and the Bowtie parcel. This will create, once the G2 Parcel’s revitalization is complete, a roughly mile-long riverfront access frontage for the surrounding community. 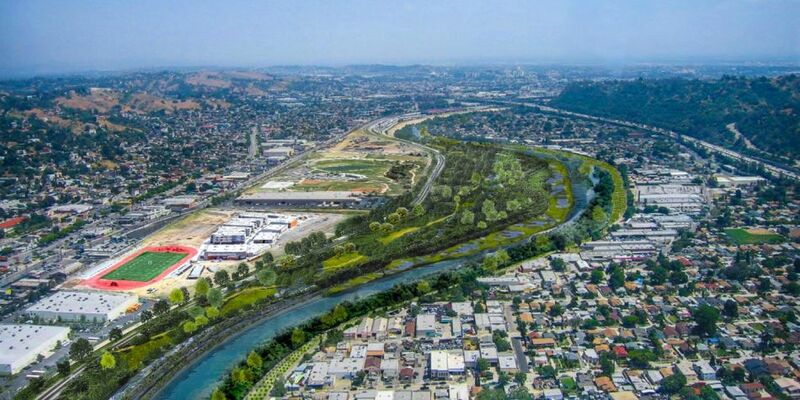 The parcel marks a key step forward for the complex and contentious L.A. River restoration projects that aim to revitalize the concrete-lined flood control channel. It was announced last year that Mia Lehrer and Associates, Oyler Wu Collaborative, and Gruen and Associates would extend the river-adjacent bike path that runs along the banks opposite from the G2 Parcel into the San Fernando Valley. That project would add about 12 miles of riverfront bike paths and further the city’s goal of developing bicycle trails along the river’s entire 51-mile length. Gehry Partners has also been working on a master plan for the river since 2016. Gehry’s planning efforts are being pursued in tandem with the city’s adopted Alternative 20 plan, a proposal that calls for the restoration of an 11-mile stretch of the river north of Downtown Los Angeles. The Alternate 20 plan relies on stitching together a series of river-adjacent plots—including the G2 Parcel and Piggyback Yard in Downtown Los Angeles—in tandem with the restoration of the river channel itself. Next steps for the restoration of the G2 Parcel include site remediation in coordination with the State’s Department of Toxic Substances Control as well as planning efforts aimed at making the site more accessible to the public.